Hayes and his unit were black ops, knowledge of their operation would be disavowed if they were captured or killed. When returning from a mission, they were ambushed. Hayes saw the man behind it and recognized him as an ally of his ambitious Colonel Riggs. Upon return to base, Hayes saw the same man killing-massacring-the civilian population. Hayes fought back, tried to defend the civilians, but it was too late. Riggs reported that it was Hayes and his men that turned, murdered the civilian population; it happens sometimes, he said, that black op units turn, forget what’s right and what’s wrong, he said. And, according to Riggs, it happened to Hayes. What would you do if your government was trying to kill you? Frame you for killing innocent civilians while serving honorably halfway around the world? Hunting you like a terrorist? Would you run? Create a new identity? Or try and kill those who set you up? 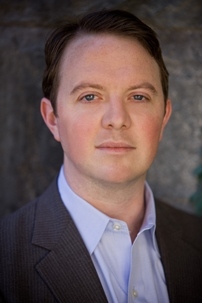 In Cold Barrel Zero, the newest novel by Matthew Quirk, Hayes and his crew of US Special Forces soldiers didn’t do any of those things. Instead, they continued to protect and serve their country while dodging bullets and missiles meant for them, courtesy of the United States military. Those words, “I have to trust my country,” in a time where there is so little trust, were powerful to me, and were perhaps the greatest explanation of a motive for Hayes. But maybe Hayes had to trust his country, because there was nothing or no one else to trust. 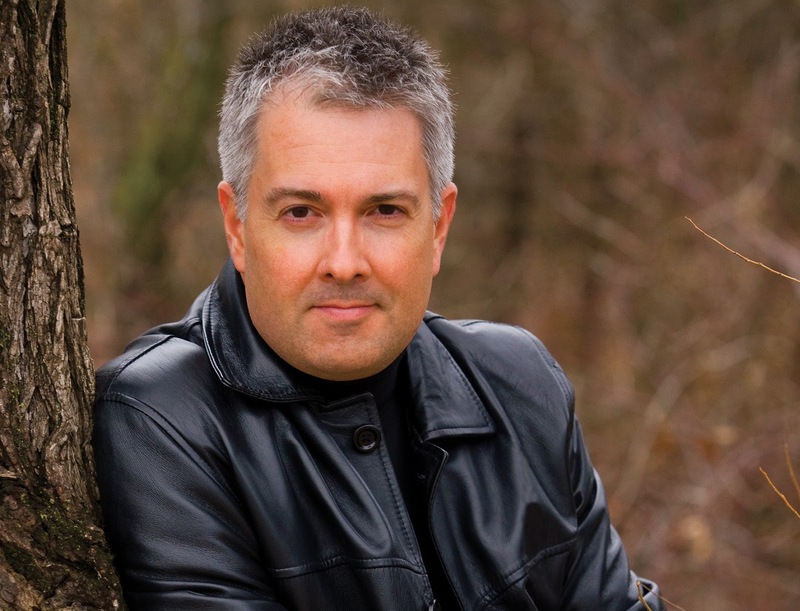 Cold Barrel Zero, as a thriller, accomplishes its goals: it is exciting and fast paced, lots of action; an impossible mission of revenge, a race to prevent a terrorist attack in the United States, and even a little romance. The ending was satisfying, but I have to admit a little disappointment that Quirk, having nicely set up for a follow-up, decided to see the story through. I would enjoy more from Hayes and his crew. Quirk, Matthew. 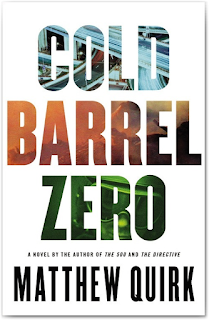 Cold Barrel Zero, Mulholland Books, March 29, 2016. 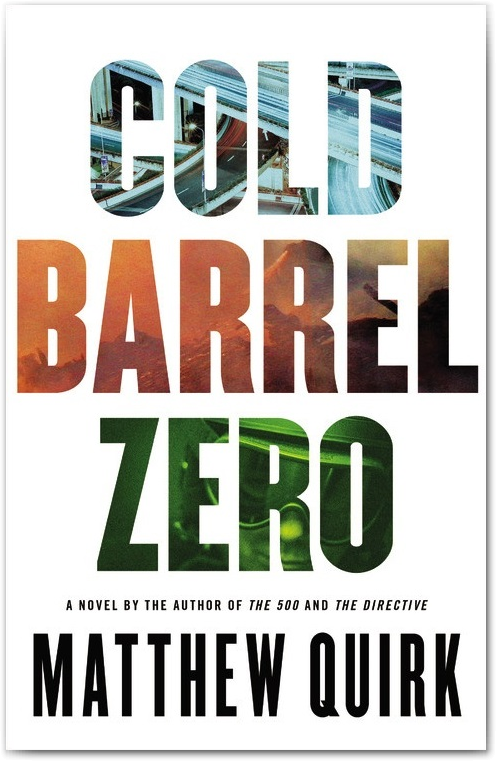 An advance copy of Cold Barrel Zero was provided to The Thirty Year Itch by the publisher via NetGalley.com. No compensation was provided for this review. Goodbyeto the Dead is the seventh novel by Brian Freeman featuring Duluth, Minnesota, police Lieutenant Jonathan Stride and partner Sergeant Maggie Bei. Picking up where the previous novel left off, readers find Stride and his live-in girlfriend and fellow police officer Serena Dial working through and seemingly getting past their relationship difficulties. Stride has always been afraid of the future after the death of his first wife and love of his life, Cindy, eight years earlier. In Goodbye to the Dead, Mr. Freeman takes readers back in time, when Cindy was still alive and well, and Stride is investigating the murder of prominent and controversial newspaper columnist Jay Ferris. The prime suspect is his wife, Dr. Janine Snow, a locally loved and respected surgeon, and a friend of Cindy’s. The story goes back and forth from the past to the present, when a new case brings Stride and Bei back to the murder of Jay Ferris, the guilt or innocence of Dr. Snow and, of course, Cindy. It is a welcome look into Stride’s past, a chance for readers to learn and understand what it was between him and Cindy that continues to haunt him to this day. The story of the murder and the present case are both solid whodunits that kept me guessing, mostly incorrectly, throughout the novel. But the murder investigation was the strongest part of the book. Mr. Freeman missed the opportunity to better develop Stride by explaining his past with Cindy. Nothing was learned about them that hadn’t been presented in other books. In this area, Mr. Freeman couldn’t find new ways to say what he had several times in the past. Like in his previous novels featuring Lieutenant Stride, Mr. Freeman struggles with police procedures, primarily in the areas of police employment and roles within a department. I understand authors taking liberties to make things fit together more fluidly, but the Stride series seems to entirely disregard rules about hiring, transfers, rehiring, discipline and termination, jurisdiction, and more. And it wouldn’t have been difficult to make small changes to make it fit together more genuinely. It leads me to believe Mr. Freeman either did no research on these issues and didn’t know any better, or did and chose to disregard what he learned. Either way, it disrespects police professionals and the structures, laws, and circumstances under which they work. Despite my criticisms, the strong plot carried Goodbye to the Dead. From beginning to end, the twists and turns kept coming and, even better, provided a moral and ethical dilemma beyond the guilt or innocence of the prime murder suspect. Freeman, Brian. Goodbye to the Dead, Quercus, March 8, 2016. 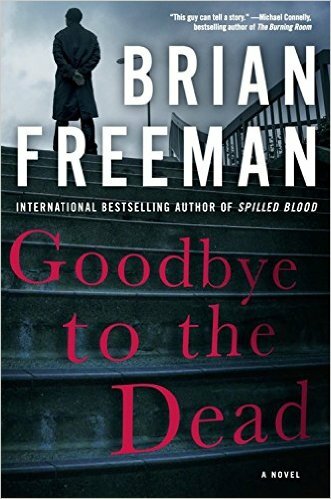 An advance copy of Goodbye to the Dead was provided by the publisher. No compensation was provided for this review.